The third-largest Latin American country, Mexico is home to more than 110 million people. Although about 88 percent consider themselves Catholic, most are only culturally Catholic, with about 10 percent attending church regularly. Just over eight percent are evangelical Christians. There is increasing freedom for ministry in the country as government officials are more open to evangelical work as a counter to the seemingly insolvable problems that plague many areas of the country. 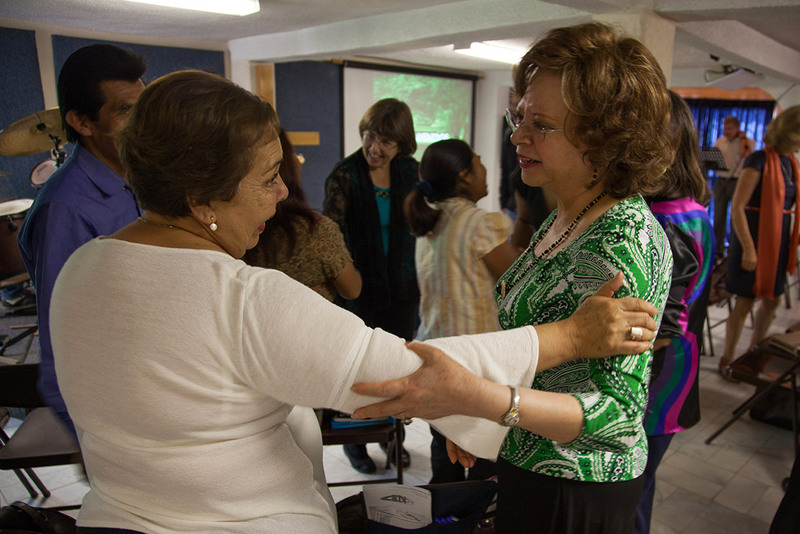 Our vision is to transform communities in Mexico through leading people into a right relationship with Christ and planting churches that reproduce and impact their communities. We work toward that end through outreach, leadership development and holistic community transformation. Our goal is to empower the national church to grow and multiply. The Mexico Field Team is accomplishing these goals through the ongoing ministries of the following churches. About 65 percent of Mexicans are categorized as poor; in Mexico City, that’s more than 16 million people. The biggest need is not just economic — although 60 percent of Mexicans receive only 12 percent of the nation’s income — but also social poverty. There is a huge need for holistic transformation because of the stigma that comes from living in a poor neighborhood and the accompanying family dysfunction and drug and alcohol addictions. Northside Christian Church, Hands of Life Christian Church, King of Kings Christian Church and Zona Maranatha Church all offer a variety of clubs and ministries for children, youth and women, as well as adult Bible studies, mission trips, and community outreach programs. Hands of Life and Maranatha (Zone 10:14) host community centers that offer holistic ministries such as dental, medical and counseling services, continuing education, teaching English and skills training. Celebrate Recovery ministries begin in 2018. In 2012 the Church Catalyst team partnered with the Globalscope team in Puebla to plant the Mosaico Christian Church with young people from the campus ministry. In 2017, Mosaico moved out of the campus ministry house to renovate a warehouse two blocks away to use as a new facility. Mosaico Church now does community outreach and offers children’s ministry, adult Bible studies and supports missionaries to Spain and China. 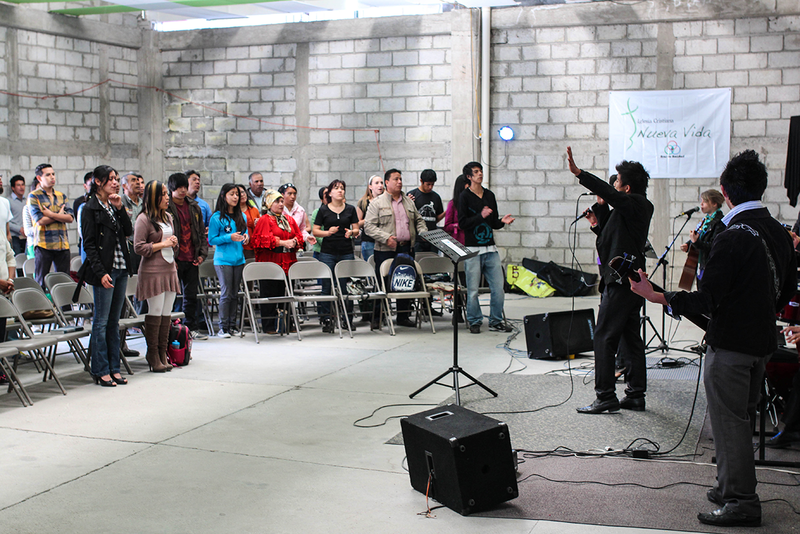 New Life Church was planted in Pachuca in 2009. The church has experienced steady growth and its members are active in outreach, serving, prayer and home cell groups. The church was turned over to national leadership in 2013, and offers youth and women’s ministries, small groups, drama and street evangelism ministries, mission trips and a soccer outreach. El Pozo, the Globalscope campus ministry in Mexico, is located adjacent to the campus of la Universidad de las Americas Puebla. Students from all over the world attend this university, and many come to experience the love of Jesus in community at El Pozo. En Vivo! is held every Tuesday evening and features skits, music, a Bible talk, free food and good friends. Missions and community service — Whether it’s hanging out with the kids at a local orphanage, helping to bring clean water to a nearby town, building houses for needy families, or spending the summer in Africa, El Pozo students and staff are deeply involved in global and local missions on a regular basis. Retreats — Once each semester, the whole community gets away for a weekend of being together and going deeper. 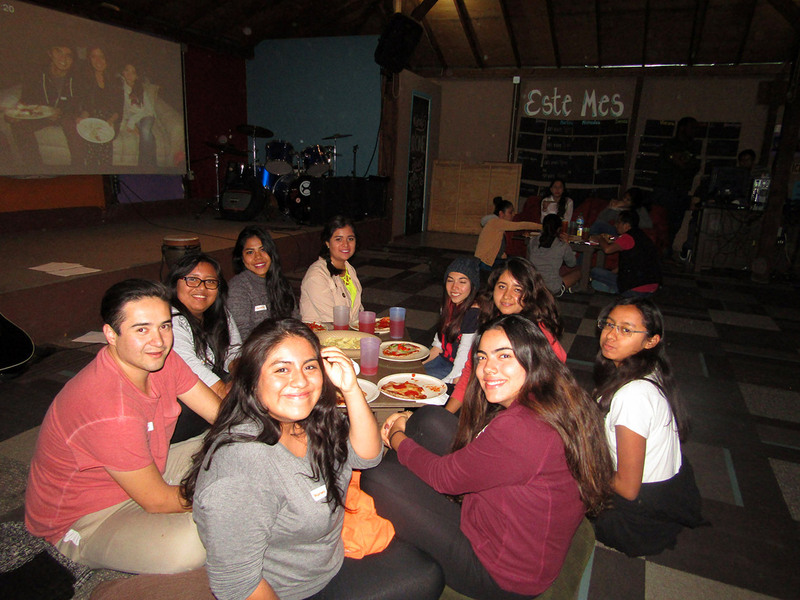 Small groups, mentorships, and leadership groups — The El Pozo staff and student leaders believe in making disciples by being disciples. We dive deeper into God’s Word and what it means to follow Jesus every chance we get.